Please contact Sensei Kiel for more information regarding future tournaments. 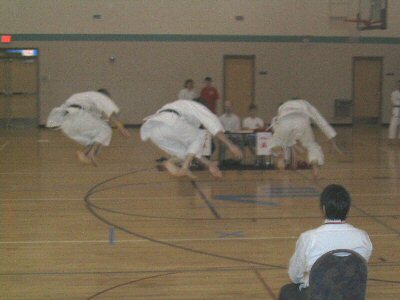 Tournaments in Kata (form) and Kumite (sparring) are held on a regular basis in various communities. Everyone is encouraged to participate. Competition is exciting and a great way to test your skills. Also, tournament experience is a necessity for brown and black belt promotions. Competitors from Central Minnesota Karate have traveled all over the country - Chicago, Illinois - Denver, Colorado - Los Angeles, California - and more... - to compete and have been very successful in a number of regional, state and national tournaments.